Manchester City appear set to win the race to sign €80m-rated Atletico Madrid midfielder Saul Ñiguez ahead of Barcelona. City are keen to find a long-term replacement for Fernandinho in the middle of the park after recently losing out in an effort to lure Frenkie de Jong away from Ajax, with the Dutch midfielder opting to join Barcelona. The Citizens have now set their sights on Spanish midfielder Saul and appear close to winning that race, despite competition once again from Barça. Pep Guardiola has been scouting Saul for some time now and as reported by ESPN, City are 'closing in' on a move for the 24-year-old midfielder. Saul's representatives have been in contact with Barcelona and Manchester City and were quoted by ESPN as saying: "He can't stay at Atletico anymore, everything's complicated for him there." 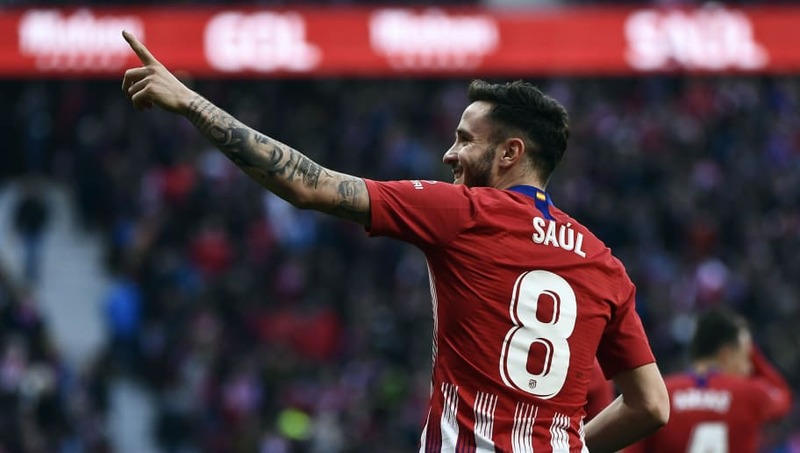 The report notes that with Atletico now ten points off the top of La Liga, and having already exited both the Copa del Rey, and Champions League, Saul is considering his future at the Wanda Metropolitano. Atletico have reportedly set a €120m price tag on the Spanish midfielder but sources close to the club believe that €80m would be enough to get the deal done. City continue their pursuit for back-to-back ​Premier League titles when they return to the Premier League on the final day of March to take on Fulham at Craven Cottage while Atletico will attempt to bridge the gap between themselves and Barcelona when they take on Alaves on the same day.